I mostly write about cats and dogs, because these are the pets I know most about. There's a range of other interesting pets though, and many are both clever and affectionate. Different states have different regulations regarding exotic pets, so check before bringing home something unusual. It's also important to be aware that animals other than cats and dogs will have other needs than cats and dogs. 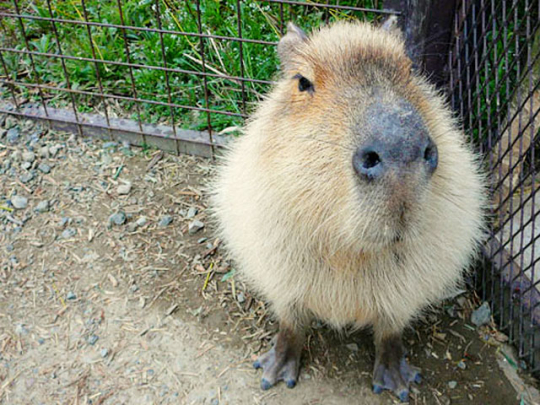 The Capybara is the largest rodent in the world, and can weigh up to 140 lbs. They can be found in many zoos and parks, and live up to 12 years in captivity. They are allegedly gentle, but very fast. They probably wouldn't be suitable as a house pet, but CBS News have them on their list of unusual pets. 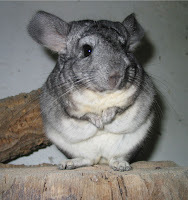 Chinchillas are fairly common pets in some parts of the world. These are also rodents, with extremely soft fur. Their teeth grow continuously, and they need a way to grind them down. Their temperature must be carefully regulated; they lack the ability to sweat and will overheat and suffer heat strokes if it's too warm. They eat and drink very little, and should only be fed timothy hay. Fruits, nuts, and vegetables should be avoided. A Wallaroo is sort of a kangaroo. These cute critters are curious and bond well with their owners if they're socialized from a young age and treated well. They're mischievous, and need ample space to move around and exercise. 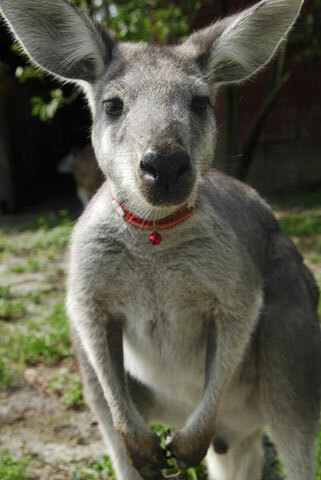 If you're interested in having a Wallaroo, this link leads to a good list of things to consider. 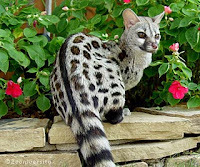 A Genet is... It's not a cat and it's not a ferret, but it looks a little like both. According to the website jandaexotics.com, they're not related to any other domesticated animal. They bond with a family and can be affectionate and curious pets, but they're also independent, more so than a cat. They need lots of interaction. They're also extremely fast, and can escape almost everything - even a harness. I've been able to work with a lot of weird animals... doing crazy surgeries and other procedures on them. 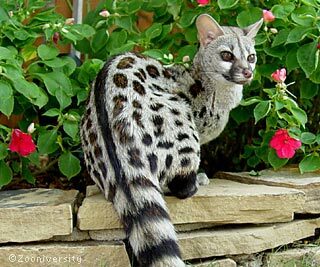 We actually saw a genet before. It was sold to these people from a pet store and the thing was absolutely wild... It hurt it's tail and the person who bought it ended up letting us send it to a sanctuary. Definitely good at escaping... everytime we had to take it out of the cage we had to chase it around the treatment area.